"We supply premier quality hardwood products of Oak, Maple, Alder, Cherry, Walnut & more"
"Featuring a premier grade finish all our competitors lack, for an Ultra Smooth Finish"
" With a diverse product line & superior quality, we will stand the test of time "
Site design by Wagler MFG. Techno Tables " Laptop Docking "
Wagler Woodcrafts Manufacturing is a second generation family owned and operated business specializing in wood, plastic, and metal. At Wagler Woodcrafts Manufacturing innovation has been our team of professionals goal from day one in quality and value. 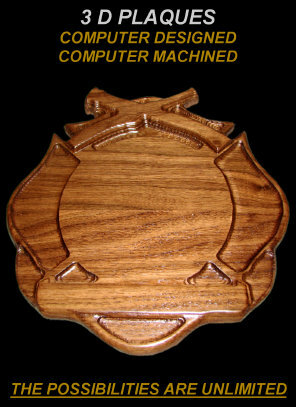 Whether it is plaques, award plaques, model or trophy bases, shadow boxes, picture frames, deer mounts, turkey mounts, signs, hunting calls, carvings, lathe turnings, vacuum forming, laser engraving, or metal display racks, we are engrossed in manufacturing new designs and ways to economically produce these designs. Also, we feature over 198 home interior furnishings including coat hangers, gallery rails, mantles, quilt hangers, shelves, wall hangings, lazy susans, jar openers, plate rails, racks and holders, tables, flag cases, hall trees, and any custom product you have in mind. No matter what your production needs are, we are dedicated to earning your business. We use the finest grade of materials available and combined with the technology and machinery in our facility, our capabilities are unlimited. Due to the highest quality possible in our many great products, our furnishings will bring out the architectural value in your home or make your business thrive. We also offer pre-finished and unfinished hardwood flooring featuring a 20-year manufacturers "Wear Thru" warranty. This is 3/4" thick, nail down, solid hardwood flooring that will be an equitable addition to any home or office. 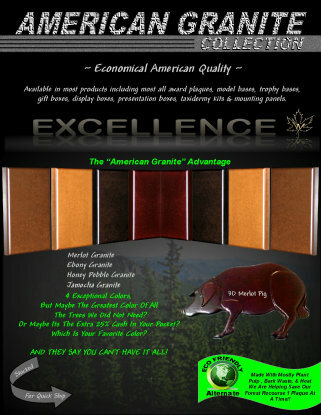 Our skilled professional craftsmen are standing by to produce your quality, Made in the USA, product. You can't afford to delay, so order today!